Ardbeg is one of those precious Islay peated drops that never leaves any peat lover with a calm heart. But every now and then an even greater, more formidable expression comes along that makes every expression before and after it almost irrelevant. 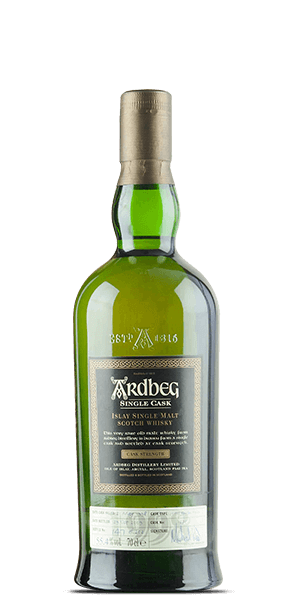 The Ardbeg 1998 Single Cask 1275 is just that... Aged for eleven years in first fill Bourbon casks and bottled at natural strength (55.4% ABV) this Islay monstrosity is as rare as it is full of never before seen flavor. Only 252 bottles ever released! What does Ardbeg 1998 Single Cask No. 1275 taste like? The Flavor Spiral™ shows the most common flavors that you'll taste in Ardbeg 1998 Single Cask No. 1275 and gives you a chance to have a taste of it before actually tasting it.